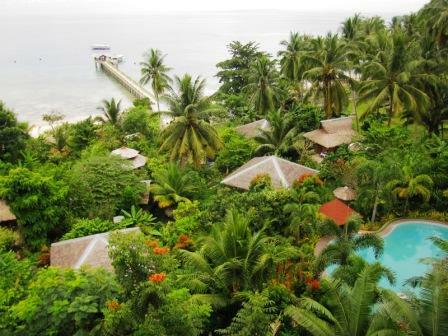 We spent our third day of Samal Island adventure in Hof Gorei Beach Resort. 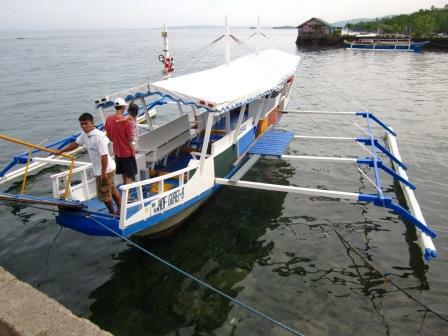 At 8:30 am, the resort's own boat fetch us from Kaputian wharf. 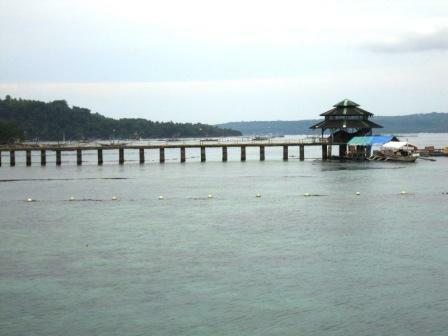 The resort has seven boats, one of which is a passenger boat from Kaputian to Sta. Ana wharf. Their boats are big and are crafted to transverse the waves of the open sea. These boats are also available for island-hopping. 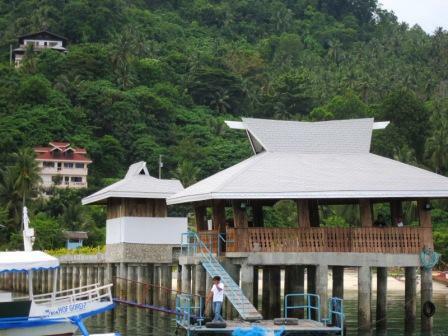 In less than 15 minutes, we arrived at the resort's own wharf. 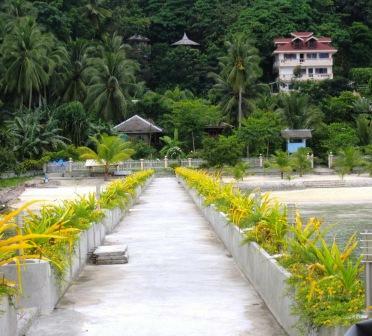 On the way to the resort you will also see the famous Pearl Farm Beach Resort. 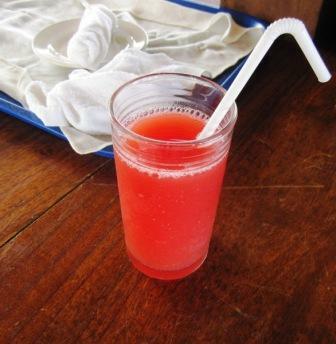 You will be welcomed with your own butler, who will give you this refreshing watermelon juice and cold towels. Contrary to what I've read in other blogs, Hof Gorei has a new concrete walkway. 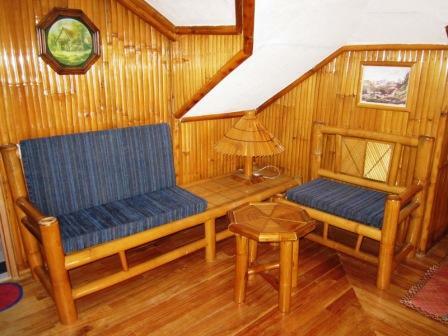 Guests now will not get scared of crossing the wood panels (the old walkway is made of wood panels) above the sea. Hof is an Austrian word that means "farm", so Hof Gorei translates to Gorio's Farm. 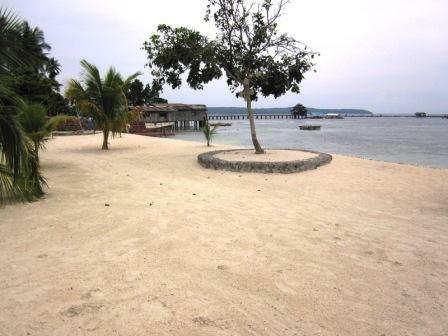 If Davao City has Eden Nature Park and Malagos Garden Resort, Hof Gorei Beach Resort is Samal Island's nature sanctuary. 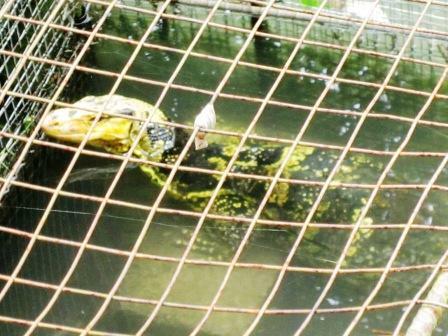 The owner, Ms. April told us that she is really fond of nature. She loves animals and flowers. 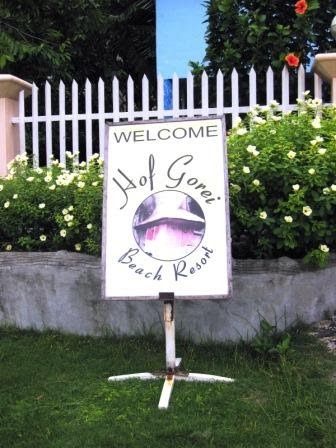 She appreciates the natural beauty of things, thus, the birth of Hof Gorei Beach Resort. If you want to de-stress and be away from the noise of the city, go to Hof Gorei and inhale some fresh air. We checked in at the Beachfront Bungalow for the duration of our day trip. 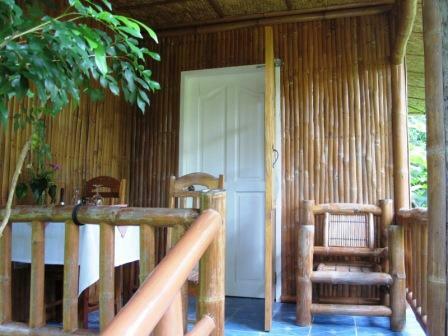 The bungalow is made of bamboo and other native materials. Think like you are in a rest house of your own. 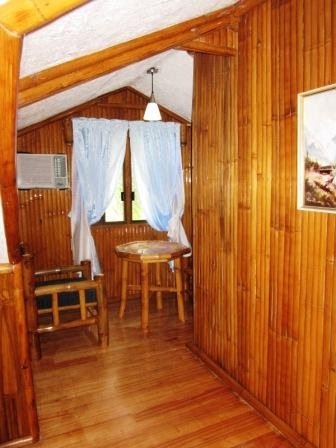 The bungalow is very cozy. 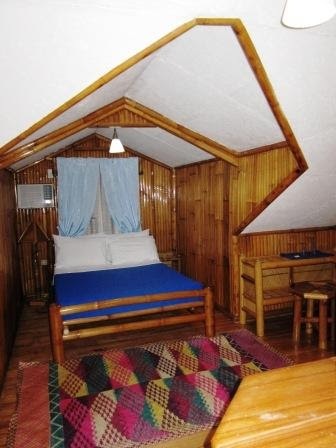 It has a king size bed, a sofa, a TV, a mini ref stuffed with assorted drinks and a clean bathroom with hot and cold shower. 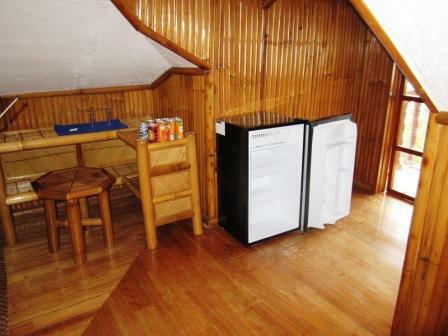 After we put our things in the bungalow, we decided not to waste a single minute and went up to the view deck and jacuzzi. We climbed 205 steps to the said area. 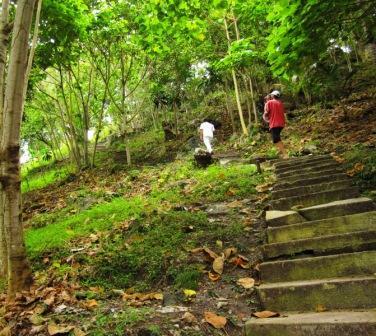 Trekking here is not boring as you will see lots of flowers and other plants along the way. It's very refreshing to the eyes. 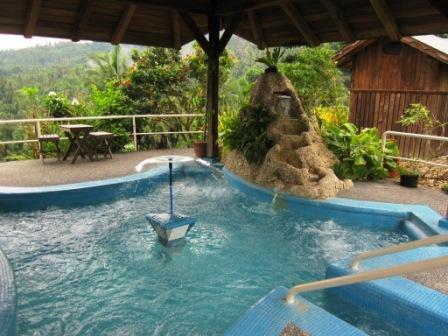 After trekking 205 steps, we arrived at the jacuzzi. It's perfect to massage stiff muscles. 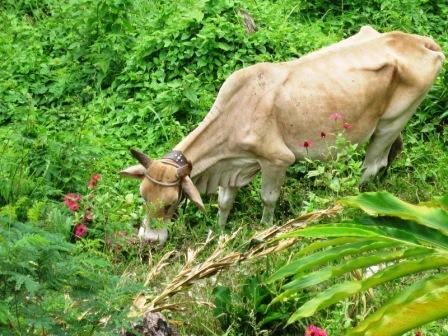 While my baby and husband are enjoying a dip in the jacuzzi, I went around and saw this cow. Hof Gorei is really nature-perfect. 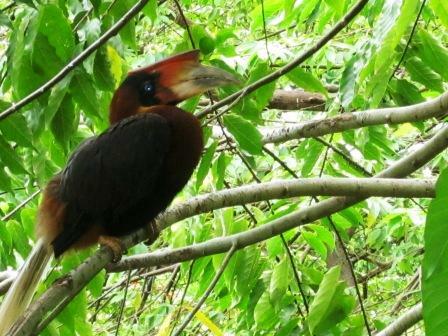 We also saw these near our bungalow. 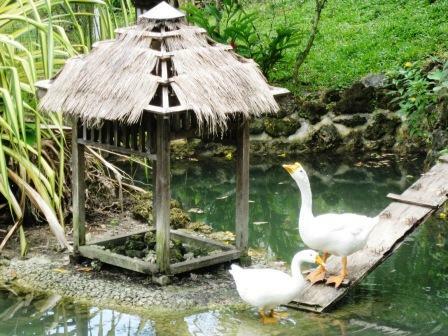 Cute ducks in the pond. 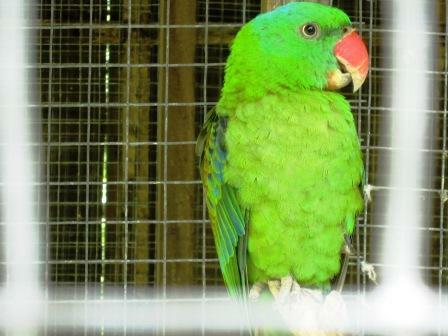 And this is my baby's favorite, a green parrot. 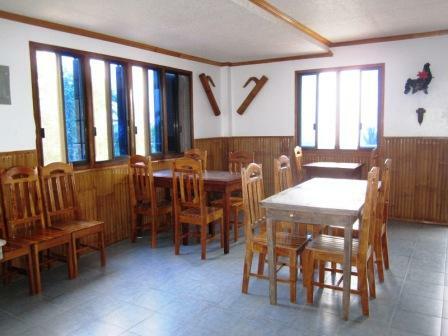 Hof Gorei also has a restaurant that offers Filipino as well as American and European dishes. Prices are P200 up. 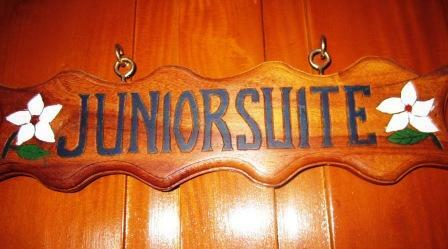 I was also able to have a glimpse of their Junior Suite which is located at the third floor of the restaurant. 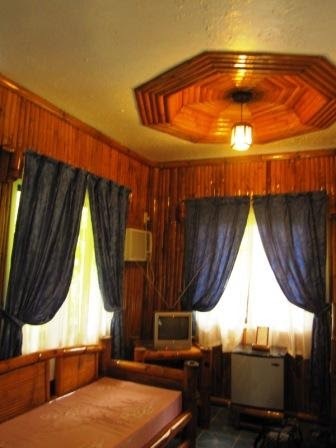 The room is Austrian-inspired. 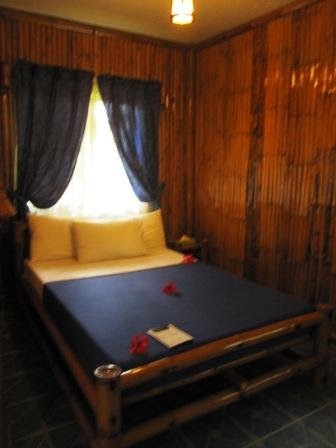 Still made of native and wooden materials, the room has a king size bed, a mini bar, a lounge and a mini-dining area. 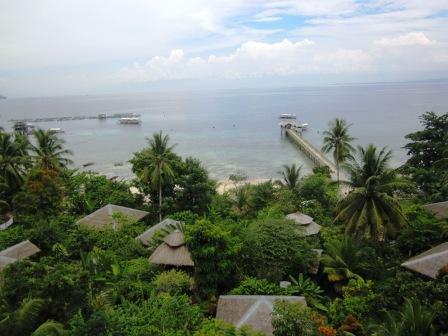 A perfect view of Hof Gorei Beach Resort. It is a perfect combination of hills and sea. 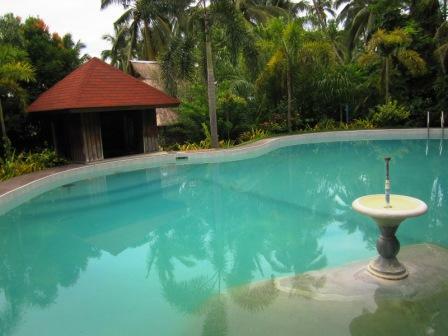 The resort also has a pool and a poolside bar where you can grab a booze while having a dip. 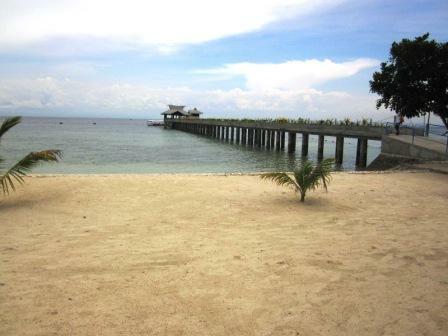 Best of all, the resort has its own sand bar, where you can bask in the sun. 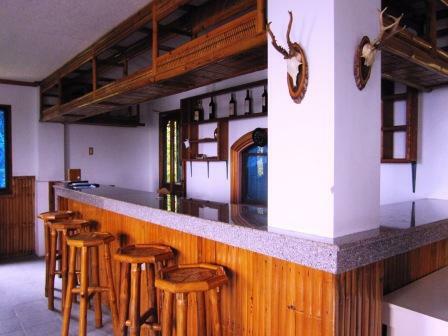 So if you want to escape the busy and noisy city for a day or 2, book a bungalow in Hof Gorei and experience being reunited with nature's best offerings.